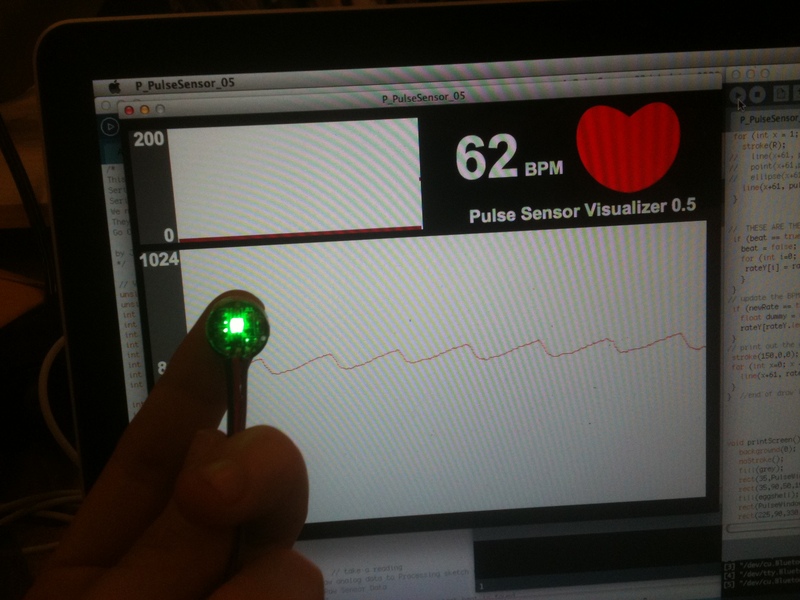 For the heart-rate we did some tests with the pulse sensor ordered online and created by Joel Murphy and Yury Gitman. It was pretty straightforward to plug and play. 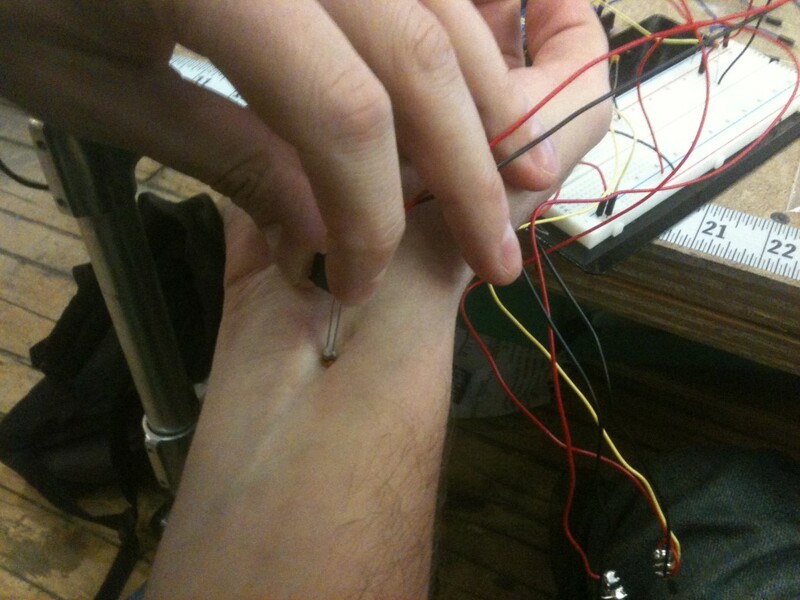 It seemed to read our pulse through our fingertip but it was not as stable as we expected and it did not really work for the measurements in the wrist. We did not have the velcro they recommend to do the tests so we will try again next time to figure out if we can get better results this way. 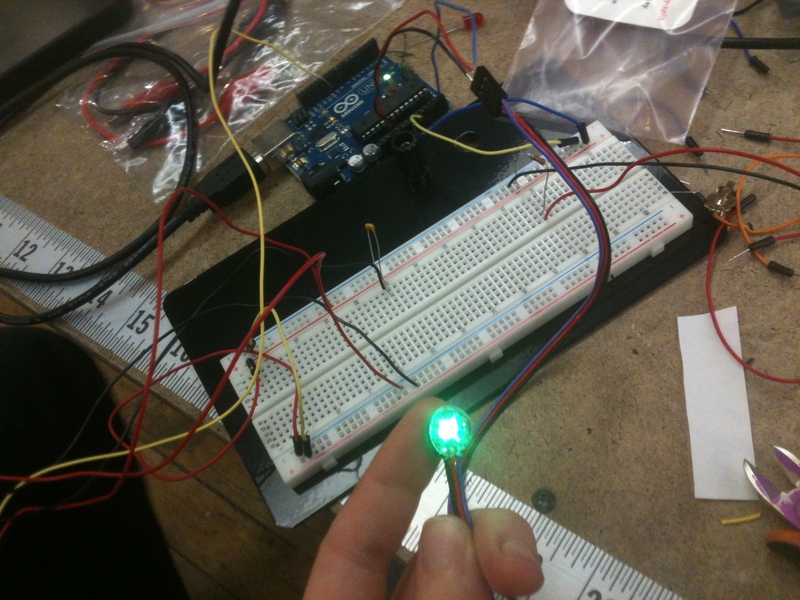 We also tried with the infrared LED and the Light Intensity to frequency IC . 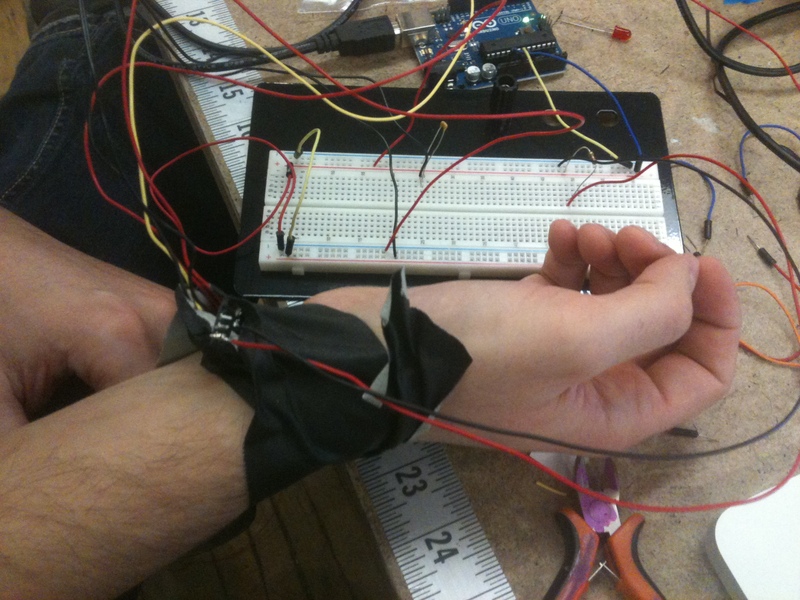 We got some mesurements from the wrist but they were pretty unstable too. 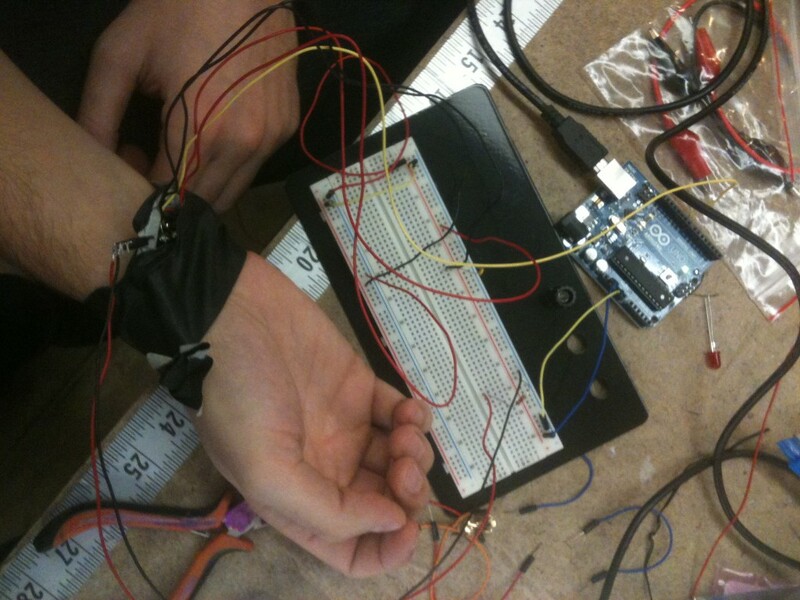 Building a proper encapsulation weareable could improve the results considerably, so this will be our next step on this side. and again we got some coherent measurements but pretty unstable.